"MotoGP and sometimes other topics." - the world’s first virtual Twitter sporting event. This weekend’s Japanese MotoGP race has been cancelled due to flight restrictions caused by the Iceland volcano. @TwitGP realised this will leave a big hole in many fans’ lives – so thought it might be fun to hold a replacement virtual race exclusively on Twitter. All it needed was a virtual presenter and @suziperry, former BBC MotoGP host and keen Twitterer, was only too keen to help. An excited conference call with a mutual friend (@TwitGPpr, the championship’s Communications Director), confirmed a plan. Within an hour of Suzi retweeting the account name @TwitGP, there were an amazing 500 followers. Within a couple of hours a keen follower had created a logo. Now, at just two days old, we’ve passed the 4,000 mark with followers from as far afield as Israel, New Zealand, Indonesia, the USA and Hong Kong. 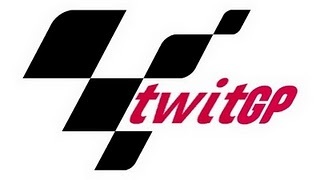 Many say they don’t even follow real MotoGP, but love #TwitGP. Amongst the followers are the first lady of bike sport Suzi Perry, British superbands The Stereophonics and The Prodigy, celebrity bike fan Ross Noble, the actual MotoGP rider Jorge Lorenzo and 125 rider Bradley Smith, the Fiat Yamaha Team, Valentino Rossi’s mechanic Alex Briggs, BBC MotoGP reporter Matt Roberts and Eurosport MotoGP commentators Toby Moody and Julian Ryder. Motorcycle News’ Sport Editor Guy Procter has donated a photoshopped version of MCN Sport magazine to talk up #TwitGP and the Fiat Yamaha team have donated a signed Valentino Rossi team shirt as a competition prize to be given away later this week. The celebrities have been getting into the spirit of the event with Ross Noble tweeting a picture of him stuck in a van whilst trying to reach the circuit and Fifth Gear presenter Tiff Needell designing the Twitegi Circuit. Fans are interacting in increasingly inventive ways, supplying virtual logos, passes, programmes and even VIP party tents. This is being done entirely for fun – while a few people have asked if it’s “real”, the vast majority completely understand the concept and have thrown themselves into the spirit of things. All sorts of surprises are planned as the week develops – we’ve already announced two wild card riders in the form of Max Biaggi and Mick Doohan, thus rewarding fans with a match up they never thought they’d, er, read. 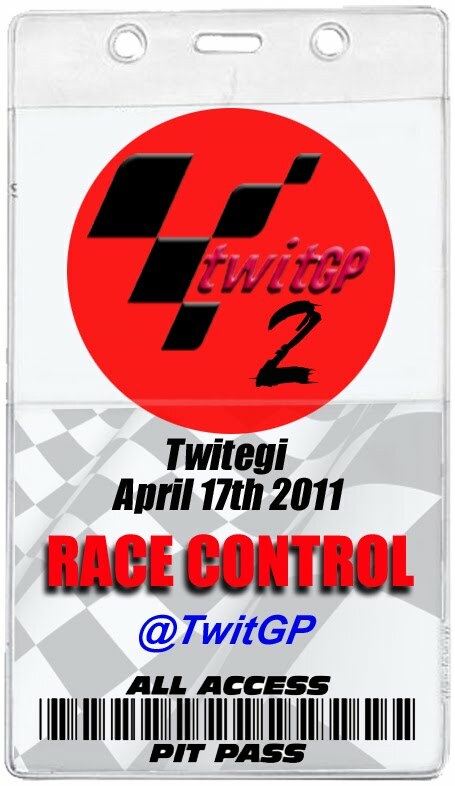 All Rights Reserved by TwitGP. And believe us when we say our lawyers are better than yours. Awesome Inc. theme. Powered by Blogger.